In the natural world, apex predators ( also known as alpha, super, or top predators ) are predators with few to no predators of their own, residing at the top of their food chain. 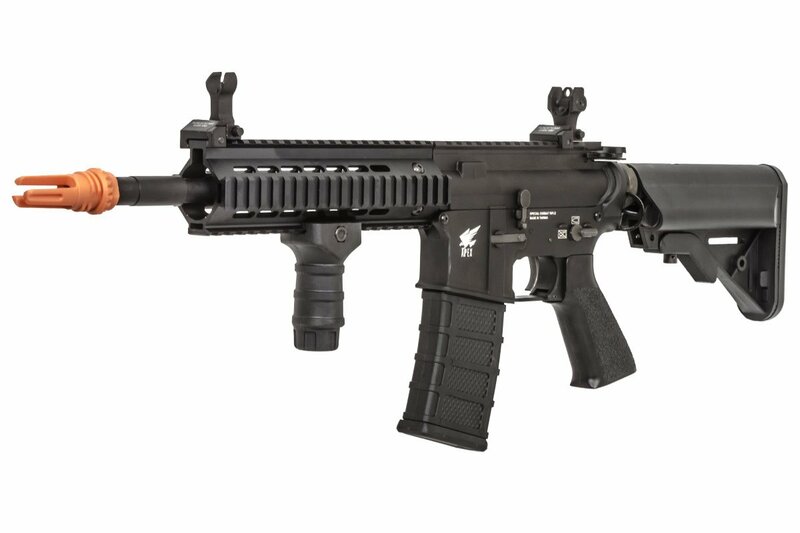 Apex Airsoft Guns embody this spirit when it comes to providing you with the best possible out-of-the-box airsoft electric gun. 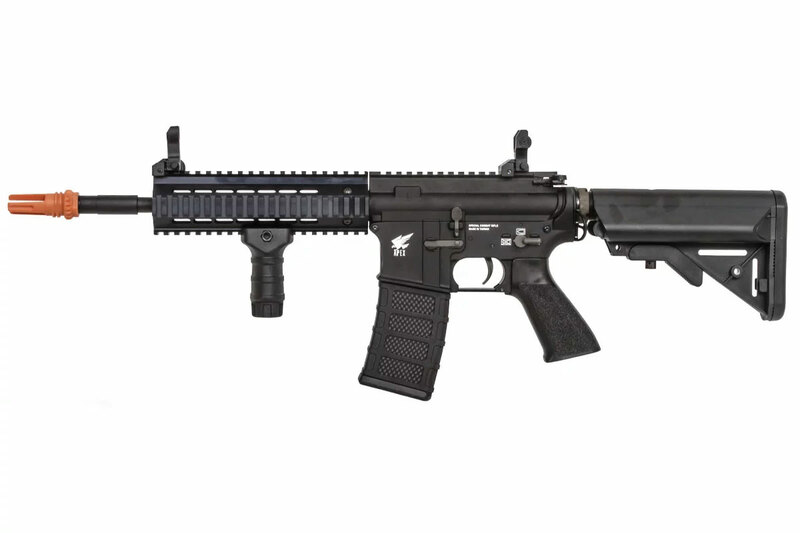 Apex has taken decades of airsoft designing, manufacturing, and playing experience to bring to the airsoft player a brand of airsoft guns unmatched by anything else on the market in terms of features and price. No fancy gimmicks, no unproven technologies, no window dressing. 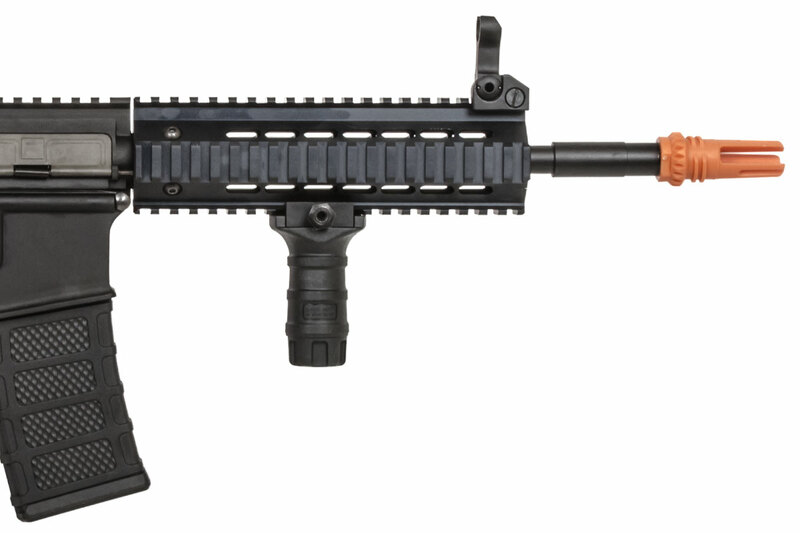 These airsoft guns are built with function in mind, using proven, off-the-shelf technologies to maximize durability and quality, while minimizing the price. 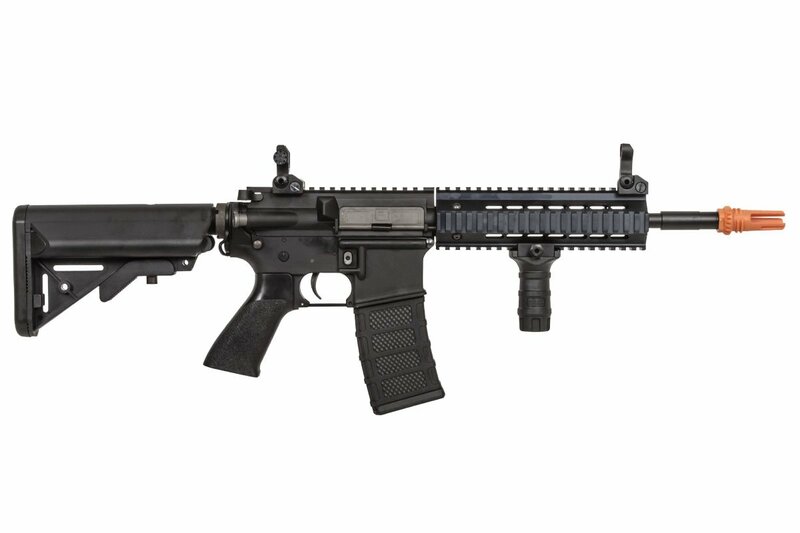 The Apex M4 Special Combat Rifle comes with a 8" quad rail installed for attaching multiple accessories. 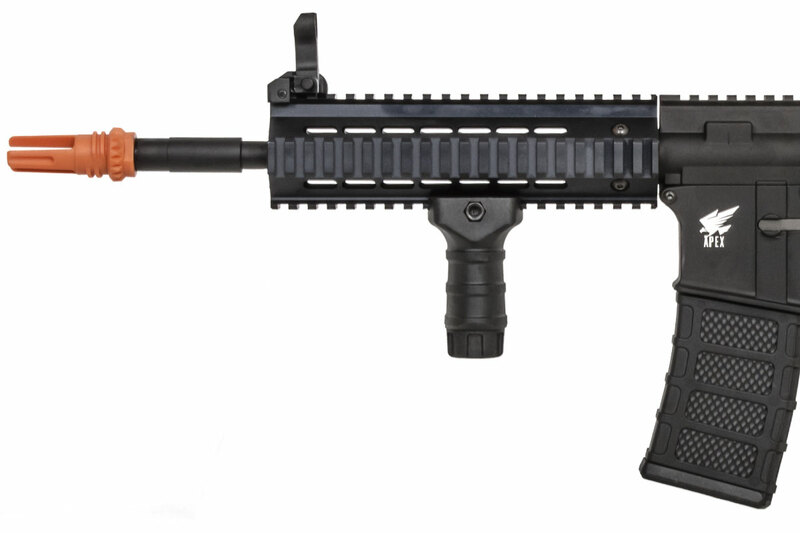 Included with the package is a vertical grip to have better weapon manipulation with the rifle. The front and rear sights can be folded down when using an optic. 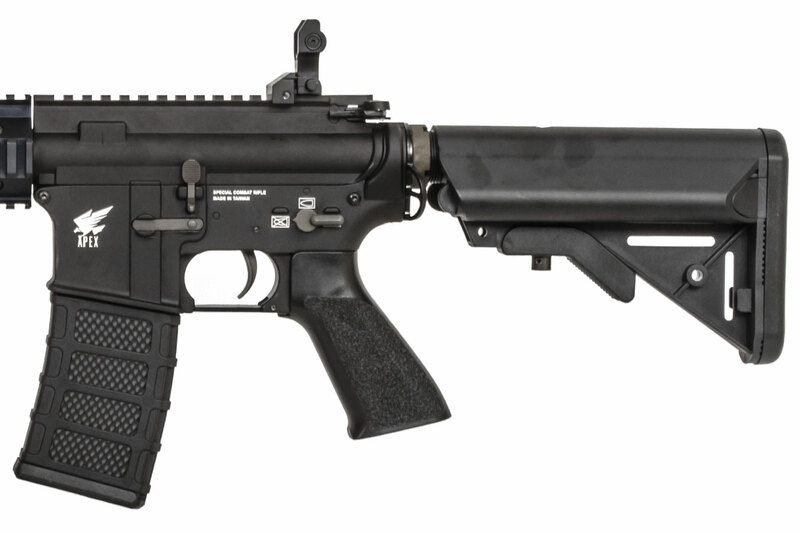 The internals are packed with a 8mm ball bearing bushing gearbox, an inline mosfet to protect the trigger contacts, 6.03mm tightbore inner barrel, and a quick change spring system. The adjustable crane stock is great for setting the perfect length to shoulder the rifle. 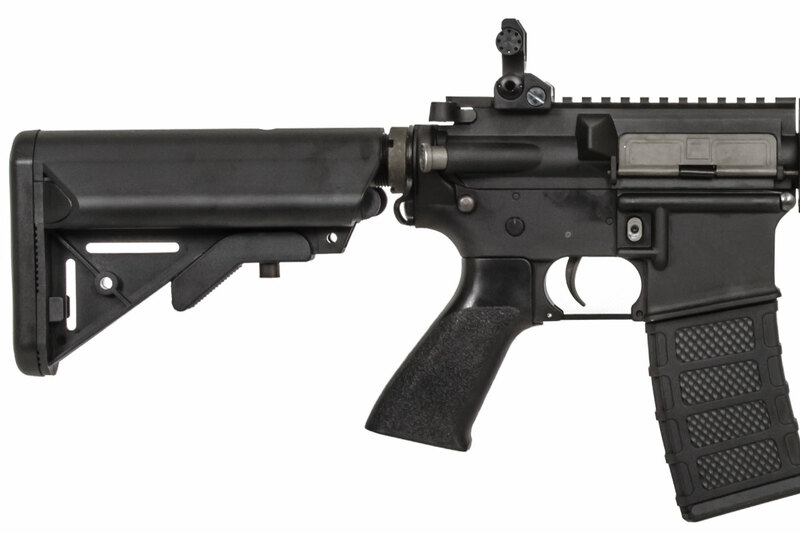 Additionally, the flash hider has threads that can be utilized to attach a QD mock suppressor. The charging handle is NOT functional and is for aesthetic purposes only. The dust cover must be released manually to access the hop up chamber. Pulling the charging handle roughly may stretch out the spring and cause damage. Do you have to grease the gearbox straight out of the box? What spring comesIn the gun factory? What is the rate of fire? What battery is best for this gun ? Any 7.4v lipo or 9.6v NiMH would work best. How far does it shoot in feet?